Pregnancy is the most joyous time for a couple to celebrate the joy of conceiving a life within them. A life that will complete their family and give them a new identity as well as a motive in life. Although it is a huge challenge to take care of a baby and not everyone is ready for it, Maria and Anders conceived 3 when they were only wishing for one. 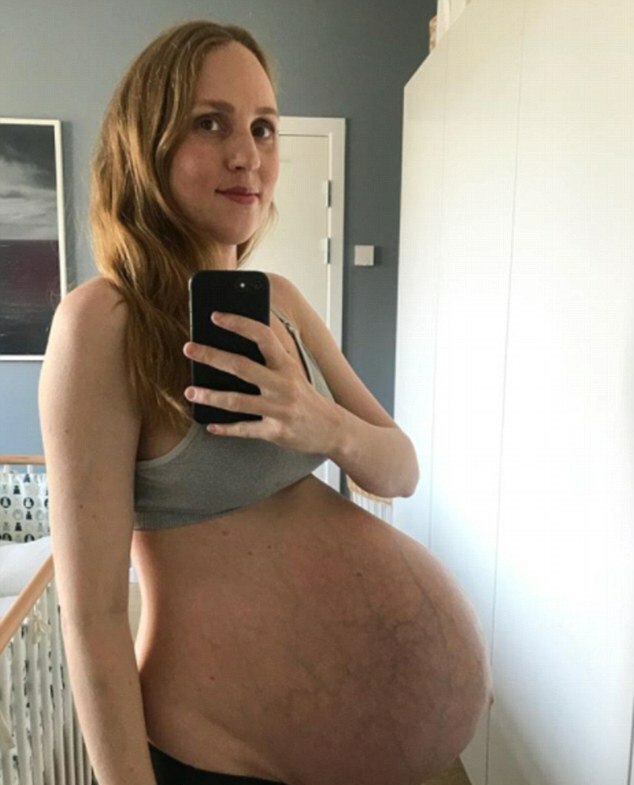 The couple living in Copenhagen, Denmark is pregnant with triplets and the baby bump is huge. Maria and Anders already have a two-year-old son but the couple wanted to give their son a younger sibling to live with. They were shocked to find out they have conceived 3 children when they only wished for one. There is a very low chance of conceiving triplets without any fertility help. There are 1 out of 4,400 chances to conceive the same without any help and Maria and Anders were the lucky ones. Aria decided to share her journey with Instagram so she created an Instagram profile triplets_of_copenhagen. She posted her entire journey in the form of pictures comparing her baby bump. The pictures show the size of her baby bump growing within weeks. Her 46,000 followers were shocked to see her massive belly that carried the two little girls and a little boy. She wrote that the journey has been bizarre yet amazing for her. At first, it was shocking to find out about the triplets but later it became a joy for all of the three of them. She said that they replaced their SUV with a minivan, as it will be a more convenient vehicle after the babies arrive. They have already shopped so many clothes for all the kids but it still feels less. They have also adjusted the cot table by making some adjustments in their house. The couple met 4 years ago through tinder and soon started dating. They hit it off great and had a son. Soon after that, they got married a year ago and now their family is going to get bigger. Maria’s audience and her family is waiting for the babies to come who are probably going to be in the world by the end of this month.